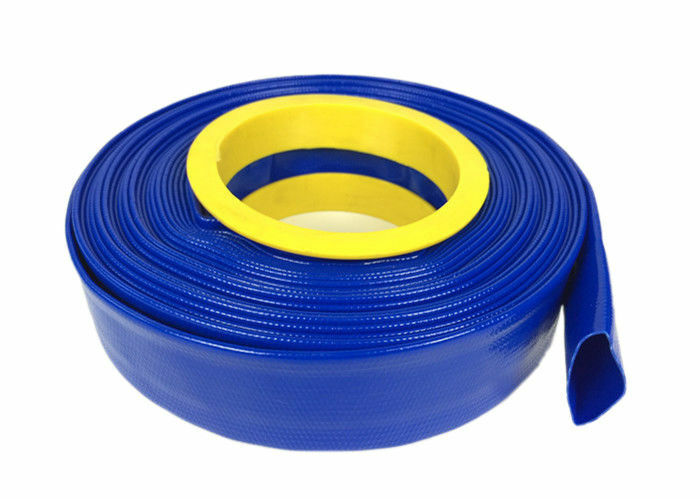 PVC layflat hose is made by advanced new technology, which are separated by many grades according to the material, Light weight, good flexibility, bright color, smooth smearing layer, anti-hi pressure, corrosion resistance and ageing resistance. Working pressure from 2bar - 10 bar. Colors and length according to customers' requests. The hose consists of polyester fiber as hose carcass, pvc as inner and outer tube layer which are extruded simultaneously. 1. Choosing high strength polyester filament and high quality PVC, it is successively winded, parted the threads regularly and molded by plastic coated once. 2. High pressure resistance, working pressure :2 bar -10bar . 3. The material is soft and elastic, colorful durable, not easy to fade. 4. Eco-friendly PVC, non-toxic, no odor, aging resistant, resistant to corrosion, anti-UV. 5. Long service life,4-6years service life. 6. Cold resistance, do not harden and working normally in the four seasons. 7. 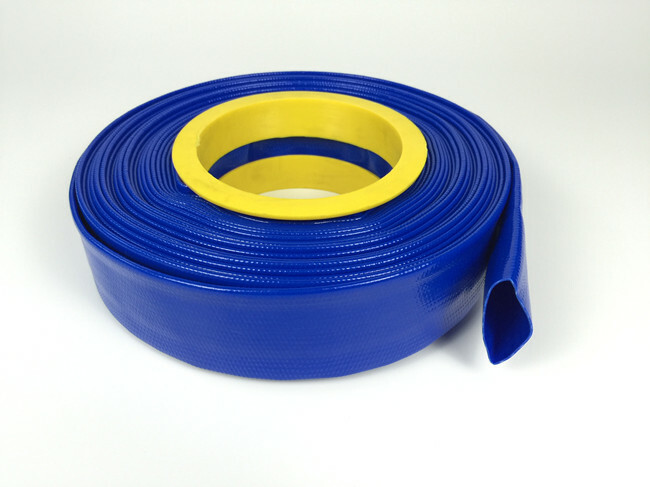 More portable, more durable, and cheaper compare to other rubber hoses. agricultural irrigation, shipping, warship oil supply, and firefighting. application: irrigation, mining, construction etc.